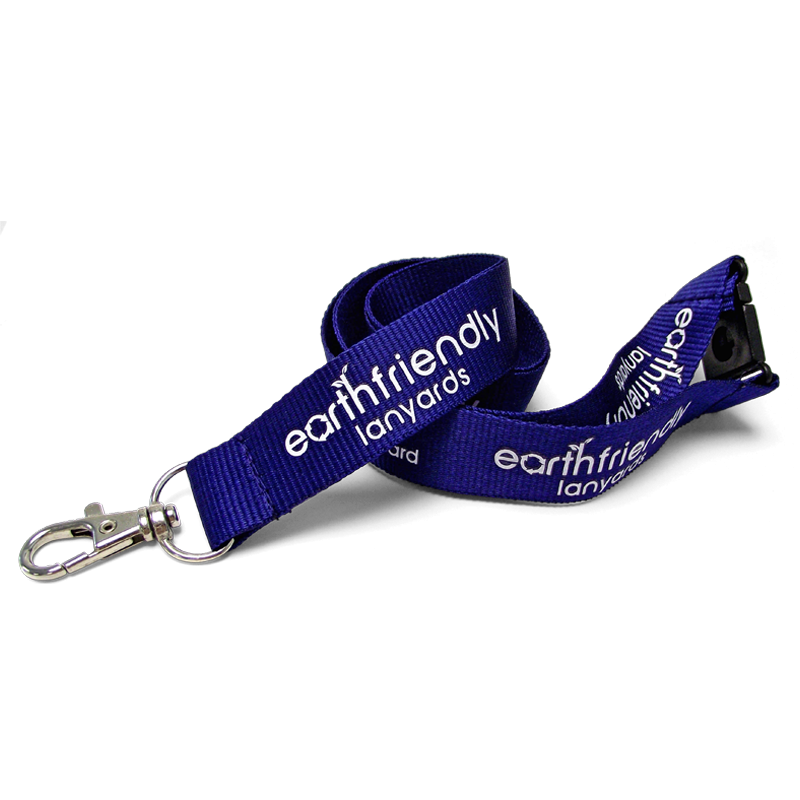 As an alternative to our standard range of lanyards we also offer a range of environmentally friendly lanyard options. 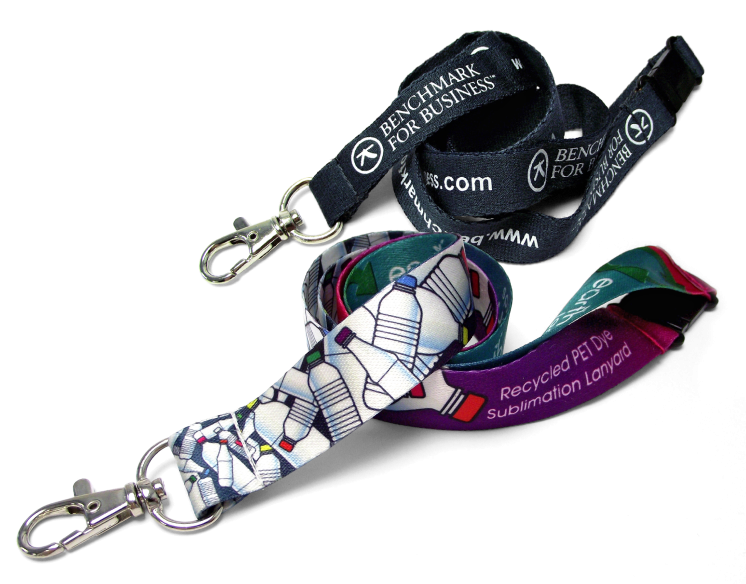 These lanyards are all made from recycled, biodegradable or sustainable materials and have recycled metal or plastic fittings. Plus they are printed with water based ozone friendly inks. 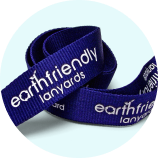 Why choose Earth Friendly Lanyards? Bamboo fibre is made from an extract of pulped bamboo. Manufactured from the waste stems of grain crops, the fabric is biodegradable and sustainable. The finer deluxe weave used to create this fabric makes it suitable for more complex logo reproduction. Manufactured from recycled PET (Pop bottles to you and I!). Manufactured from recycled PET (Pop bottles to you and I!) woven ultra smooth. High definition dye sublimation offers the ultimate in full colour logo reproduction. 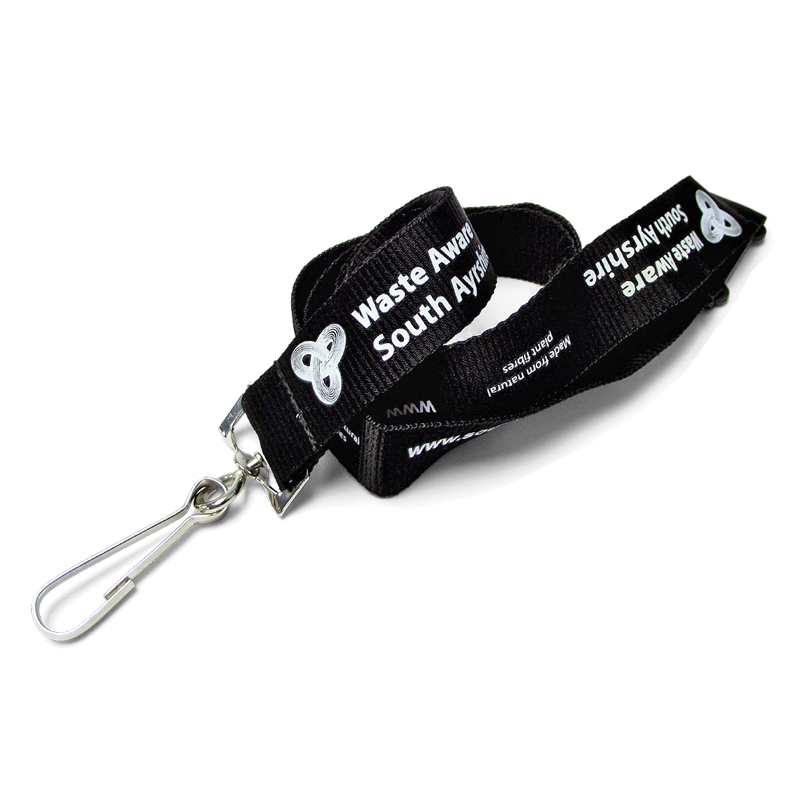 One of the below clips and the safety break is included in our standard lanyard prices. 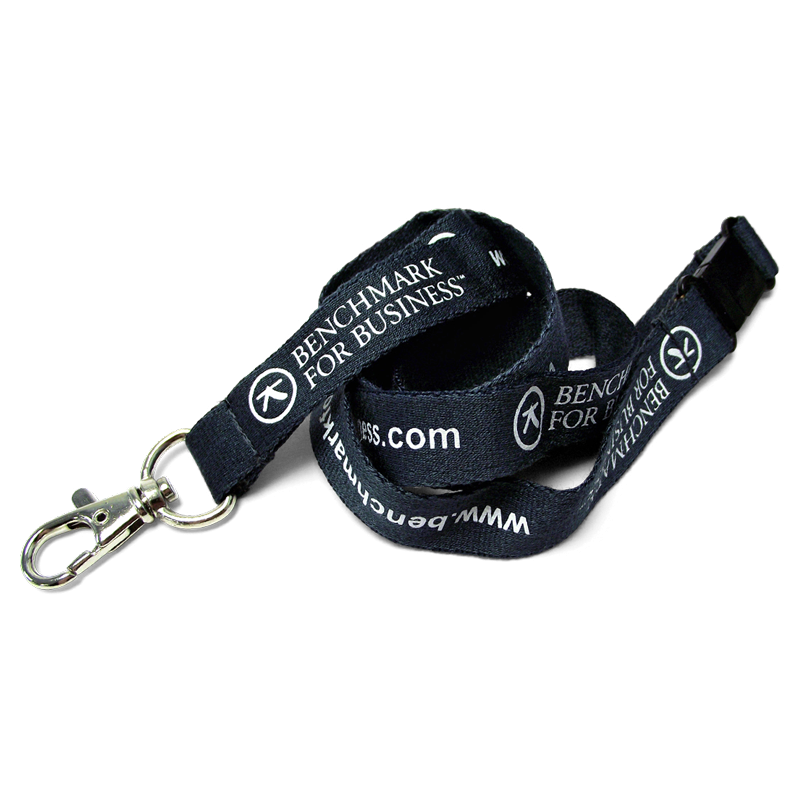 There are many different fittings you can get for lanyards which have various MOQ’s. A small selection is shown below. Check with our sales team if you are interested in any of these. Choose from our standard colours, or have yours Pantone matched. (pantone dye charge applies). Our talented design team will mockup any of your artwork onto our products with any quote if you require. Request a callback, or send us an email and we’ll be happy to help. Are these available on your 5-day express service? 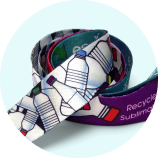 Yes, the recycled PET lanyards are available on our express service. Are the fittings and print also earth friendly? 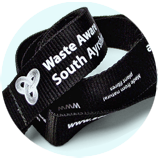 All of our fittings are manufactured from recycled materials and we use environmentally friendly inks. 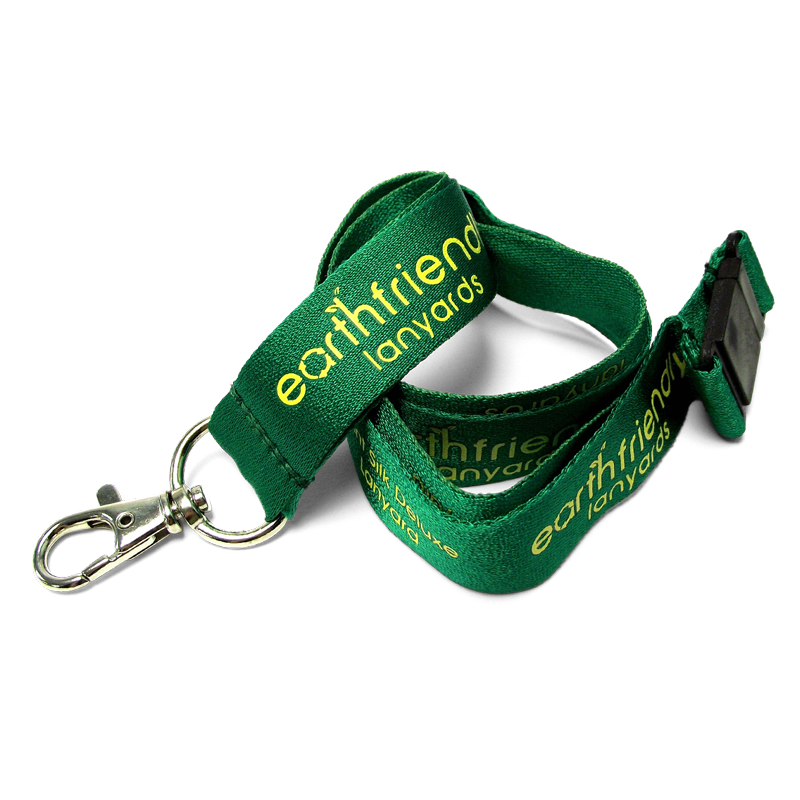 Our Earth Friendly lanyards are also available from 100 units the same as our standard materials. What’s the average price per lanyard? The price depends on the number of print colours, fittings and the quantity ordered. 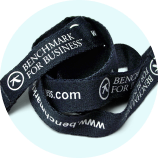 Lanyards get more cost effective the higher the quantity. What is the quickest delivery you can offer? If you opt for our express service, we can guarantee a 5 working day delivery (1 colour print on 1 side) direct from our factory in China. The order needs to be completed with us (including proof approval) before 4pm and then these will be manufactured that night and despatched from China the following day. It is then a 2-4 working day service to the UK. 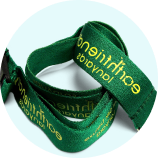 Therefore, we guarantee 5 full working days but there is a good chance that your lanyards could arrive even quicker but we can’t guarantee this. 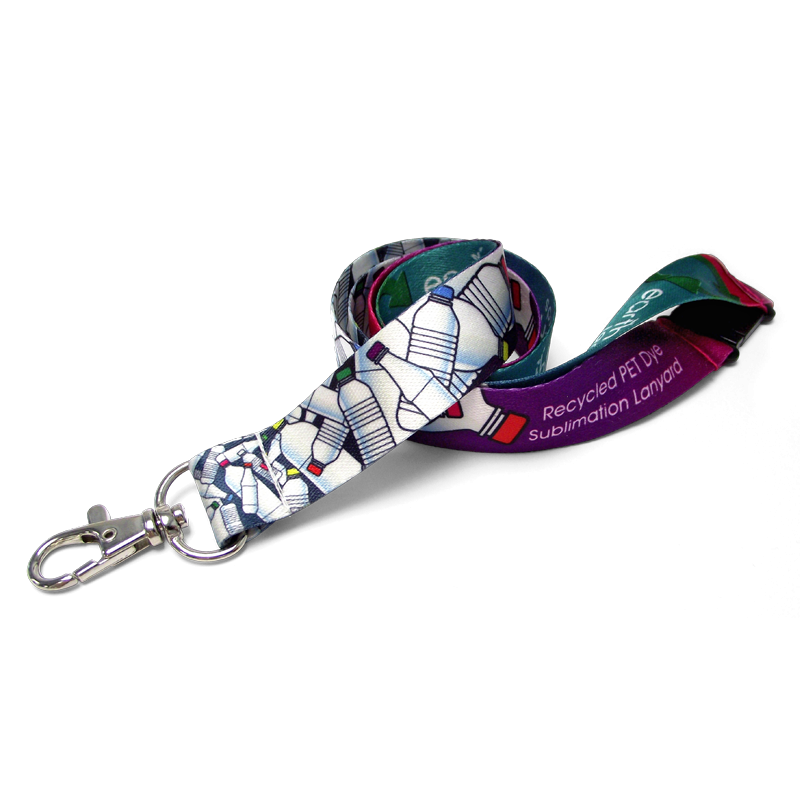 What are the print areas on your lanyards? 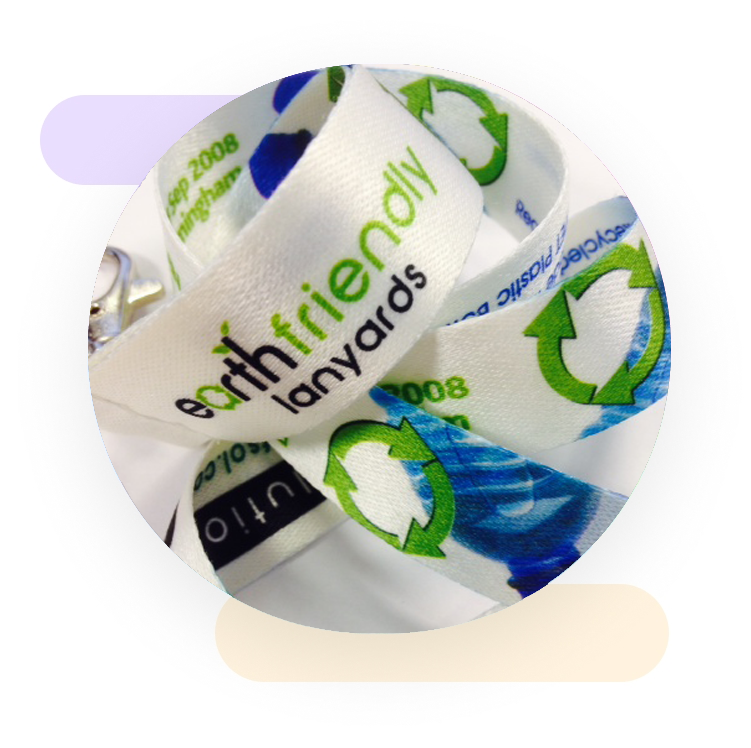 The screen-printed options have the same print areas as our Flat polyester lanyards and the Recycled PET dye sub lanyards are the same as our standard dye sub lanyards. We work for you to ensure your customers can see how good you are.